We all know just how important it is to keep our homes clean and yet so few us find the time and energy to do it regularly enough. If you’ve been putting off deep cleaning your house for weeks now and you think you’ll be able to get it done next weekend, think again. Instead of tiring yourself out and getting only half the job done, pamper yourself by hiring professional West Hampstead house cleaners services. While our NW3 cleaning contractors take care of your home you can enjoy a lovely, relaxing day with your loved ones. You can get in touch with us at 020 3743 0184 for more information about our services. Professional cleaning services can help make your life infinitely easier. You no longer have to worry about taking out the time to scrub your hardwood floors or vacuum all the carpets of the house. You don’t have to worry about defrosting and cleaning out the refrigerator or de-scaling your washing machine. You don’t have to stress yourself about the state of the bathroom or the mess in the attic. Professional cleaning agencies can actually help to make your life much more organised and streamlined in a few short hours. Whether you would like a particular part of the home cleaned or you want to give the entire place a scrub from top to bottom, there is absolutely nothing that our cleaning contractors cannot handle! We understand that clients are always on the lookout for the best deal they can get on cleaning services. It stands to reason that when you have dozens of cleaning agencies to choose from you will want to pick the one that offers you the best value for your money. Our NW11 domestic cleaning services and our West Hampstead office cleaning services are particularly designed to get you the best possible results in the shortest amount of time possible. When it comes to inviting us into your homes and offices, we appreciate that you are giving us access to an intimate part of your lives and as a services industry we do our very best to ensure that we do a great job and meet your highest expectations. We also appreciate that our clients’ cleaning needs span across a variety of niches and time frames and budget constraints. From deep cleaning projects to one-time spot removals, our team of cleaning contractors is trained and equipped to handle any and all kinds of cleaning emergencies. We offer highly specialised services to cater to all of our clients’ cleaning requirements. Our cleaning service has been designed to meet both short-term and long-term cleaning demands. From last-minute cleaning projects that are specially intended to brighten your home up before a big day to more thorough, deep cleaning services that contribute towards the overall upkeep of your home, our cleaning services will help keep your home attractive and spotless throughout. Our cleaning services are specially designed to tackle different parts of your home or your office, so you can be certain that when you work with our cleaning professionals you get the precise service that you require. For instance, if your house is more or less clean but you’re unhappy with the state of your kitchen you can hire us for kitchen cleaning services and niche services such as oven cleaning. Or if you’re worried that the furniture and upholstery in your home’s started looking shabby you can hire our cleaning contractors for upholstery cleaning and carpet cleaning. If the state of your bathrooms is making you cringe you can call our cleaning company to have your bathrooms disinfected, de-scaled, de-greased and polished until they’re sparkling. We also offer upkeep and maintenance services for items around the home, such as carpeting. If your carpets are looking a little bit threadbare or they’ve got some tears in them our cleaning team will have them repaired and patched up in no time. When it comes to hiring professional services one of the biggest concerns on anyone’s mind is that of pricing. Professional cleaning services don’t have to burn a hole into your pocket, provided you work with the right cleaning company! Most cleaning agencies will be looking to make a profit, but at West Hampstead Cleaners we are more interested in building long-term clients. Our NW6 domestic cleaners services as well as our corporate cleaning services are designed to optimise time, labour and tools to give you the best results while making sure our cleaning contractors process each task in the most time-effective fashion. This allows us the chance to offer a range of extremely affordable house cleaning services. So if you’re worried that professional home cleaning services are going to cost you a bundle, don’t be. You can now enjoy our cleaning service within your budget. As one of the most popular West Hampstead cleaning companies, we’ve handled several cleaning projects over the past year. Customer feedback is an integral part of our service-planning process. We value the feedback our clients give us and are actively trying to improve upon are cleaning services and create newer services that our clients need. We take our clients’ requests seriously and we’re happy to have earned the reputation of being one of the most customer-friendly and customer-centric cleaning agencies in the city. To learn more about our NW3 cleaning company and the work that we do, please give us a call at 020 3743 0184. So if you’d like to work with a NW11 cleaning agency that cares about your home or your office as much as you do, and is willing to leave nothing to chance when it comes to helping you set your space up, give us a call today. We can be reached at 020 3743 0184. Company name: West Hampstead Cleaners Ltd. 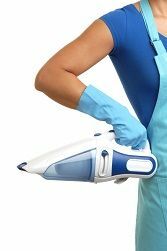 Description: Receive an excellent cleaning service NW6 hiring our cleaning company for a house or NW3 office cleaning, carpet NW11 or curtain cleaning in West Hampstead.